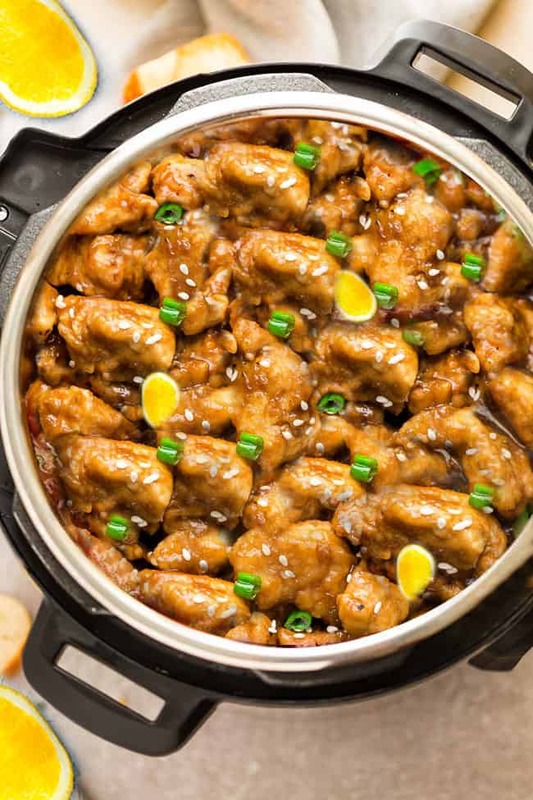 Instant Pot Orange Chicken – a delicious and healthier Chinese takeout favorite made in the pressure cooker. Only 30 minutes to make for the perfect easy weeknight meal. Gluten free, Whole30, Paleo, low carb and Ketogenic friendly. 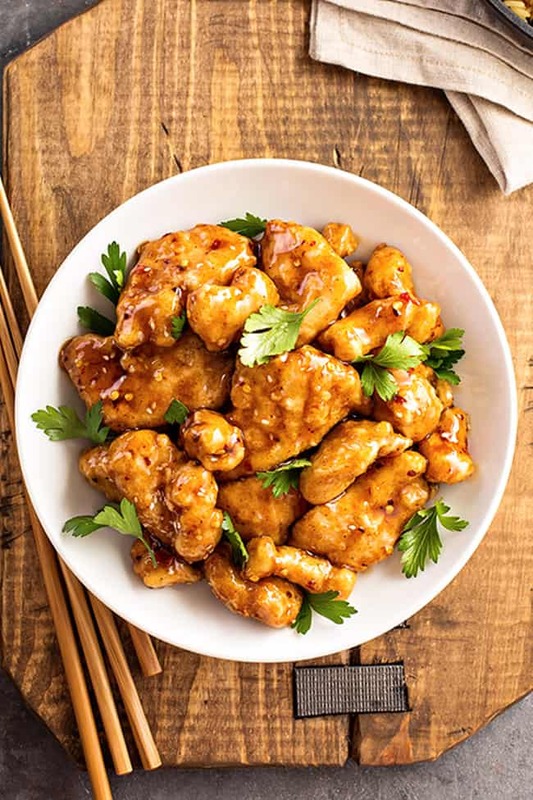 Orange Chicken is easily one of the most popular Chinese takeout dishes in North America. This restaurant favorite is typically made with crispy chicken nuggets coated in a deliciously sweet, tangy and flavorful sauce. 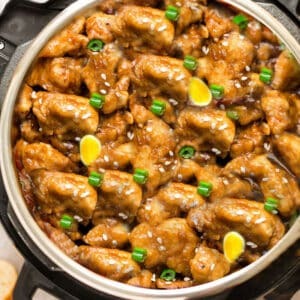 It’s kid-friendly and very similar to Asian Lemon Chicken and General Tso’s Chicken which are both equally as delicious. Since our Slow Cooker Orange Chicken recipe has been a long-time reader favorite, I thought it was time to share an Instant Pot Orange Chicken for those of you that have been requesting a pressure cooker version. The Instant Pot is an absolute lifesaver for getting dinner on the table quickly. 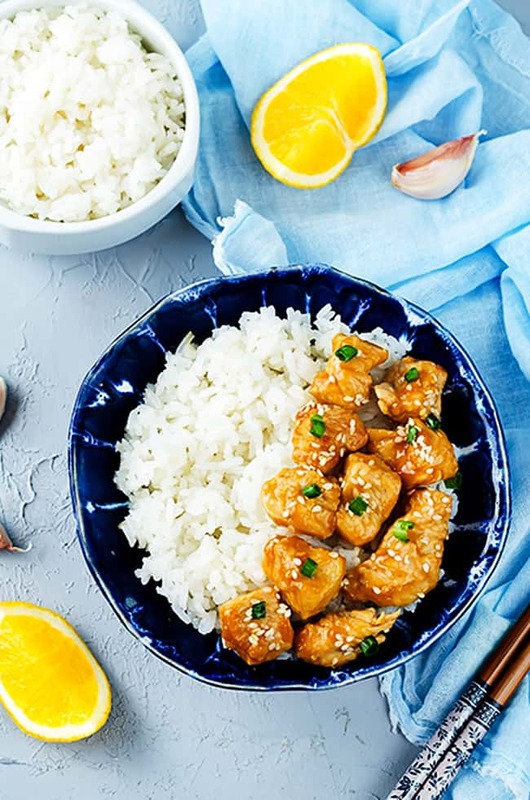 This Instant Pot Orange Chicken takes about 30 minutes to make and is so much better for you than the local greasy restaurant. It’s also gluten free, paleo, keto-friendly, low carb and Whole30 compliant. My son loves P.F. 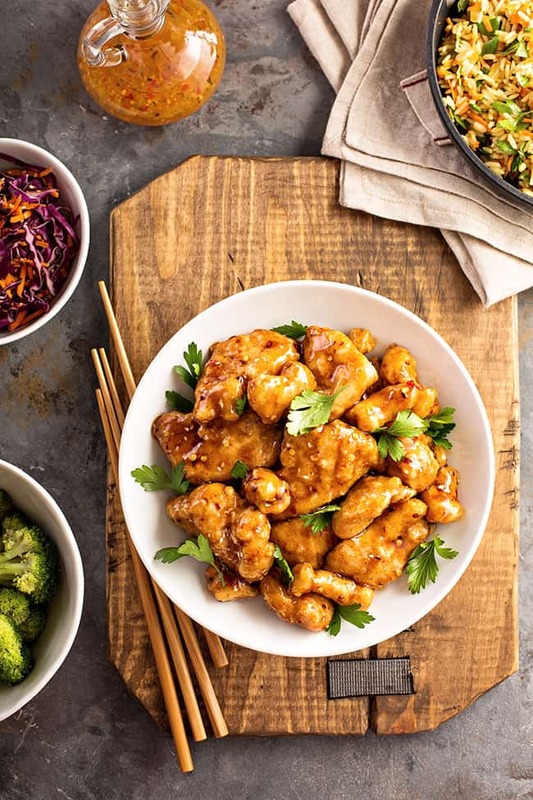 Chang’s Orange Chicken and I love that I can make a healthier homemade version for my family without any weird ingredients. Coconut aminos combined with fish sauce is a great substitute for soy sauce for those that are following a paleo / Whole30 / low carb or keto diet. MAKE THE SAUCE: In a small bowl, whisk together all the ingredients for the sauce. Set aside. SEAR THE CHICKEN: You’re going to start by pressing the SAUTE button. Add the oil and allow the pot to heat up for a few minutes. Sear chicken in batches, about 3-4 minutes on each side, until lightly browned. They do not have to be fully cooked – you just want them to get that crispy coating. Place brown chicken on a plate lined with a paper towel. 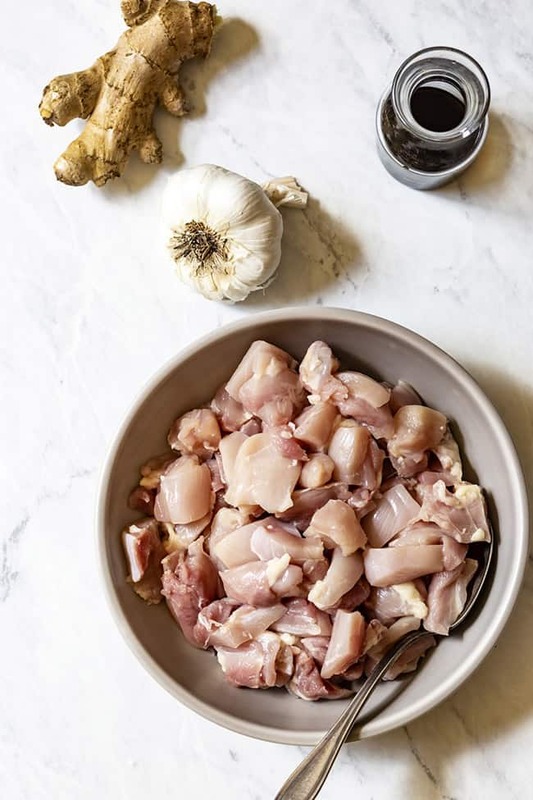 PRESSURE COOK THE CHICKEN: Once all the chicken is browned, add everything back to the Instant Pot and pour sauce over top. Close and seal Instant Pot and set the valve to sealing. Press MANUAL or PRESSURE COOK (high) and set for 3 minutes. Once the 3 minutes is up and the Instant Pot beeps, allow to naturally release for 15-20 minutes. THICKEN THE SAUCE: Open the lid and press the SAUTE button. Combine the xanthan gum (OR arrowroot starch for non low-carb) with water and stir into the Instant Pot. Cook and allow the sauce to bubble and thicken up. SERVE: Sprinkle with sesame seeds, green onions and serve over cauliflower rice, zoodles OR your favorite non-low carb sides (Jasmine rice / brown rice / rice noodles). WHAT INGREDIENTS CAN I SUBSTITUTE IN THIS PALEO ORANGE CHICKEN? If you’re not a fan of chicken, substitute with shrimp, beef, pork or even tofu. Want to add some vegetables? Broccoli or green beans would be a delicious option. If you’re not following a keto, low carb or paleo diet, you can use another sweetener like honey or sugar instead. And instead of xanthan gum to thicken the sauce – a cornstarch / arowroot starch slurry works great. 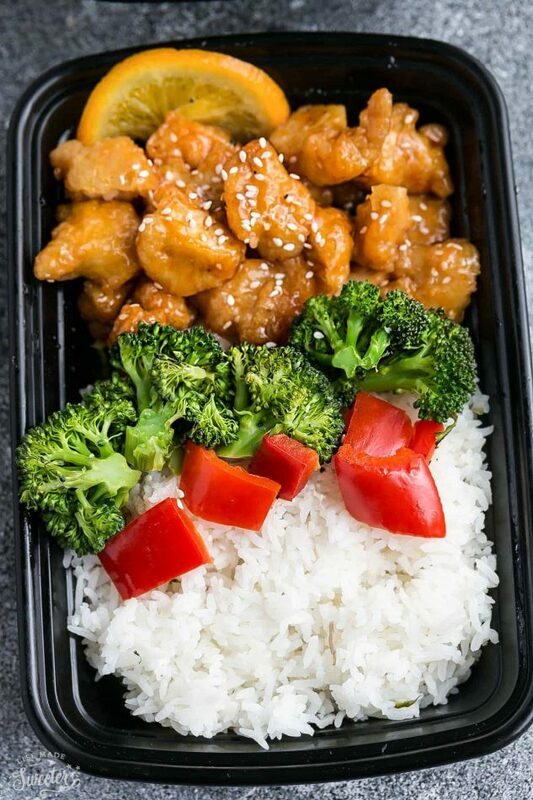 For easier weekly meal prep for Keto Orange Chicken – slice and marinate the chicken the night before and store in an airtight container in the fridge. Serve with your favorite Whole30 side like cauliflower rice or spiralized zucchini noodles. For your friends and family that are not Whole30 or Low Carb, you can make a batch of Jasmine rice, brown rice or quinoa instead. Instant Pot Orange Chicken - a delicious and healthier Chinese takeout favorite made in the pressure cooker. Only 30 minutes to make for the perfect easy weeknight meal. Season the chicken with salt and black pepper. Set aside. Make the sauce In a small bowl, whisk together all the ingredients for the sauce, set aside. Turn Instant Pot to SAUTE. Add the oil and allow the Instant Pot to heat up. Sear the chicken in batches (placing the browned chicken on a paper-towel lined plate) about 3-4 minutes on each side, until lightly browned. Once all the chicken is browned, add everything back to the Instant Pot and pour sauce over top. Close and seal Instant Pot. Set on MANUAL for 3 minutes, let naturally release for 10 minutes. Open lid then press the OFF button and then press the SAUTE button. Combine the xanthan gum (or arrowroot starch for Whole30) with water and stir into the Instant Pot. Allow the sauce to bubble and thicken up. Sprinkle with sesame seeds, green onions and serve chicken over cauliflower rice, zoodles or Jasmine / brown rice for non Whole30 / Paleo / Keto. The sauce doubles easily if you need to make a larger batch. ***This dish can easily be made with cubed extra firm tofu (roasted or unroasted) and cauliflower florets. Just cook for an hour less than you would the chicken. Mine were done cooked on HIGH at an hour and 2 hours on low.